Larry OG AKA Lemon Larry comes from Orange County by crossing OG Kush with SFV OG. This strain has a strong body high although still allows you to be functional and get through your day while uplifting your mood. 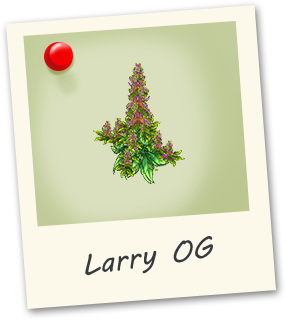 WIth long orange hairs and a distinct pine taste also, the buds are very nice and dense.